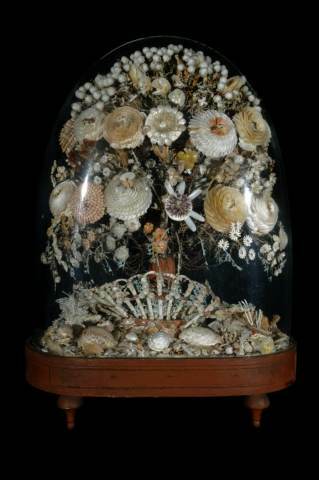 Exhibits from all over the world first occupied the purpose-built first floor gallery in 1862. The gallery was completely refurbished in 2000 but retains its original Victorian character. Orcadian Magnus Spence (1853-1919) assembled his herbarium collection in the late Nineteenth and very early Twentieth Centuries. 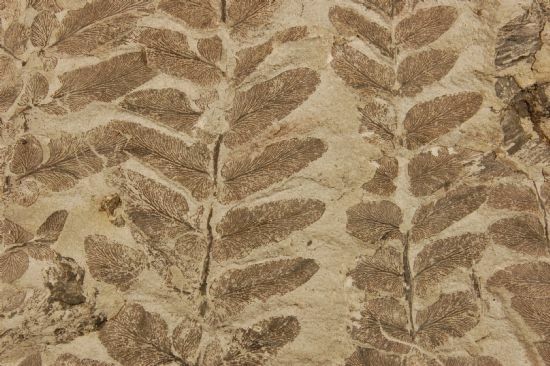 The number of specimens in the herbarium is 918, comprising 556 species of vascular plants, seven algae and five bryophytes. 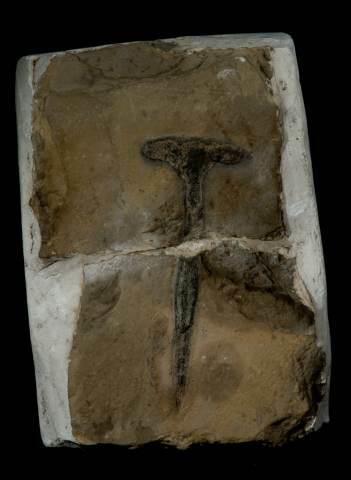 The original total certainly included two further species of vascular plant, each represented by a single specimen. Click here to view the herbarium list. 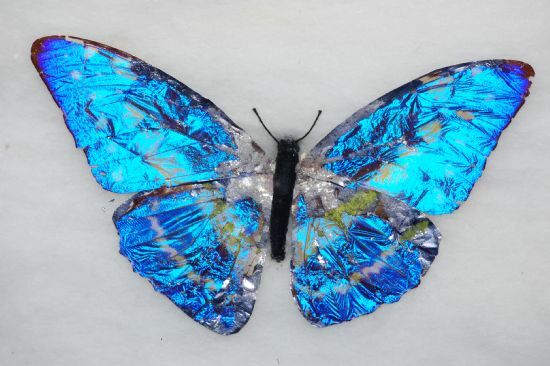 This irridiscent butterfly is usually found in the tropical forests of Latin America, from Mexico to Colombia. It is one of the largest butterflies in the world with a wingspan of five to eight inches. This fossil led Hugh Miller, the self-taught Scottish geologist, to write Footprints of the Creator. Portrait of Dr Hugh Miller (1802 - 1862). 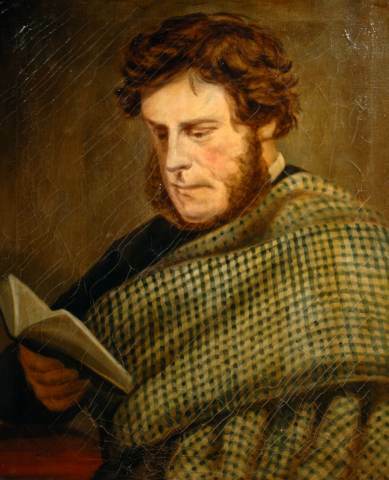 Born in Cromarty he was a self-taught geologist, theologian, journalist, poet and stone mason. Miller’s book "Asterolepis of Stromness" became a formative influence on Darwin’s The Origin of Species, and the fossil remains a star exhibit today. 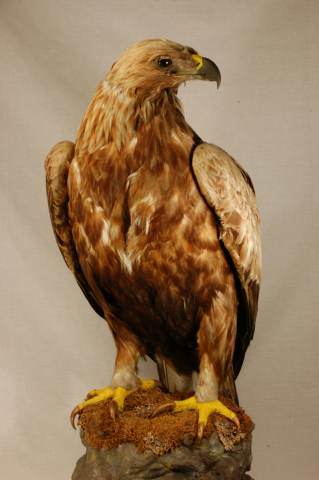 Golden eagles have wingspans of from 185 to 220 centimeters (6ft 1in to 7ft 3in). One of about a dozen honey buzzards seen in Orkney in September 2000. 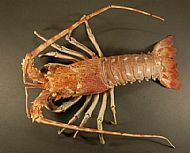 This one was found on roof of Orkney College and it died two days later. 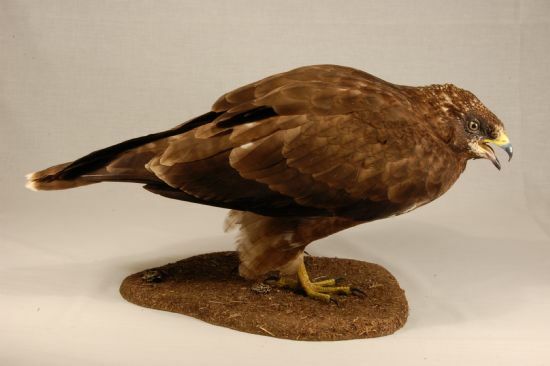 A honey buzzard's wingspan can be 135-150cm (53-59 inches). 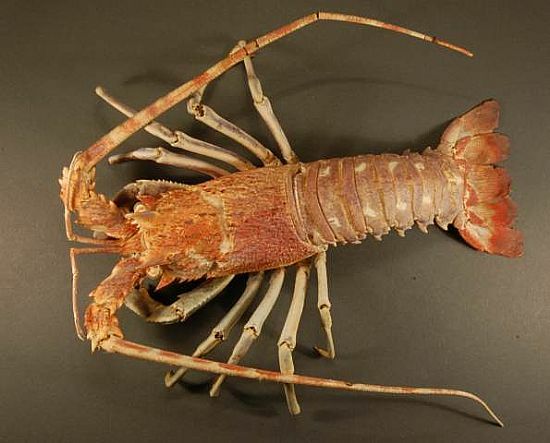 Spiny lobsters are found in warm seas such as the Caribbean and Mediterranean, and in Australasia. 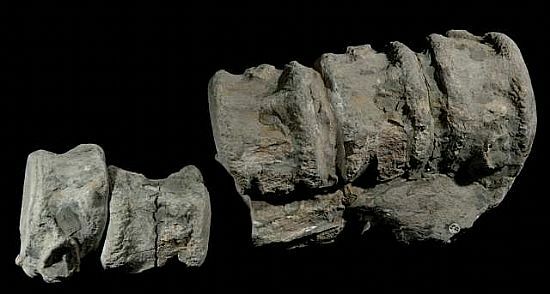 A Plesiosaurus was a large marine reptile which lived in the Jurassic period. Stenness Loch Brown Trout, 9lbs. Caught in August 1888 by J G Millais, the naturalist, gardener and travel writer. 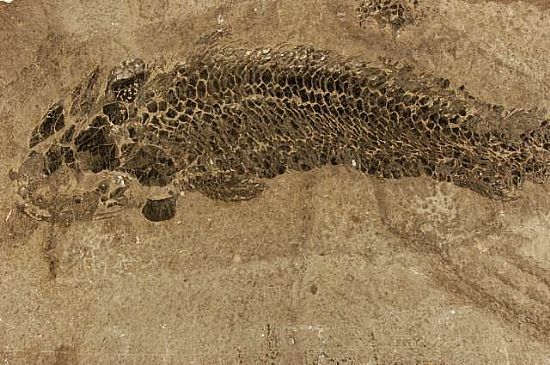 A fish fossil commonly found in Orkney's sedimentary rock. 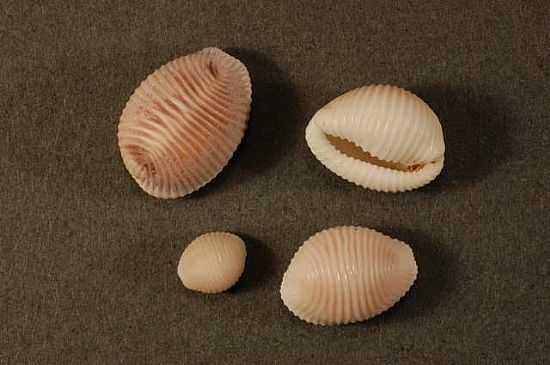 These shells are found on Orkney beaches and are known as groattie buckies. 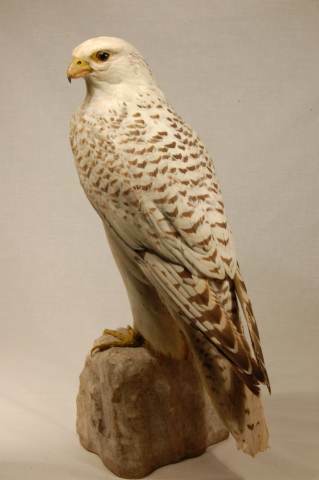 A subspecies of the Gyrfalcon and a rare visitor to the British Isles. Kingfishers are usually about 15-17 cm; about the size of a sparrow. 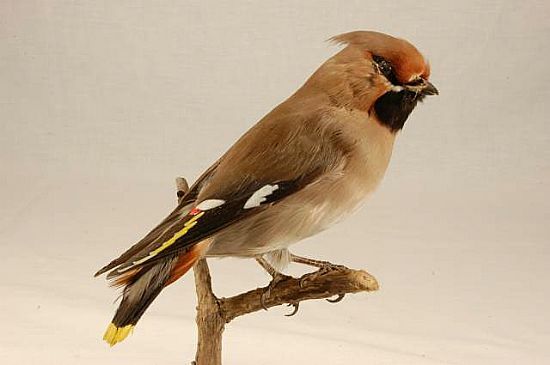 The waxwing. A winter visitor from Scandinavia. 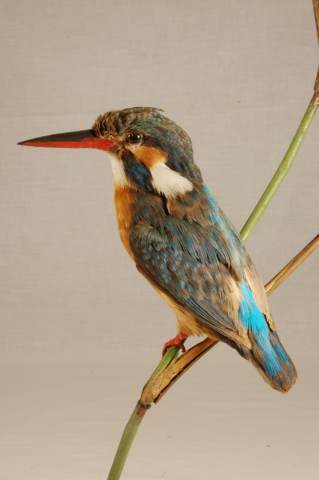 Smaller than a starling - approximately 18cm - and regular visitors to Orkney. 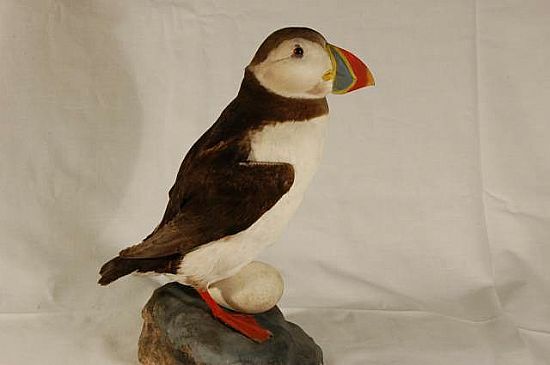 Puffin bred in Orkney are usually 26-29cm. This specimen is displayed with an egg between its feet, and has been in the Museum since 1898. 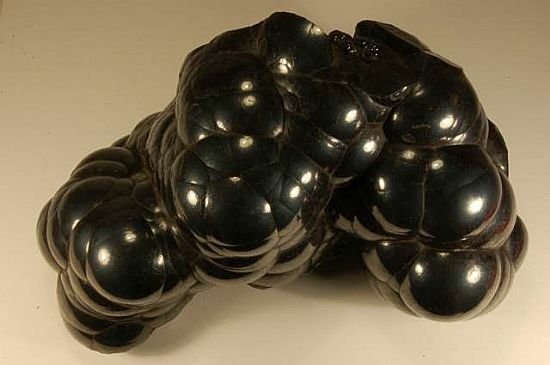 Haematite is a form of iron oxide and can be found in Hoy.